The sub-tropical island is world famous for its delicate hand embroidery. As a result, Madeira hand embroidery is part of of the island’s culture and history. Furthermore, it is one of the economic pillars along with Madeira wine, tourism and bananas. Embroidery seemingly started at the same time as first settlements on Madeira. Women of noble birth indulged in embroidery to embellish their house linen and clothes. 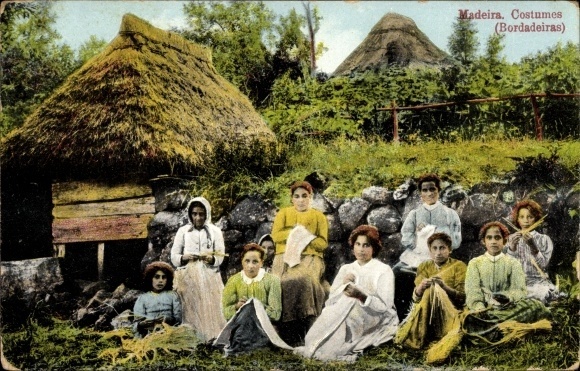 It soon became a hobby or main occupation for many women on the flower island. 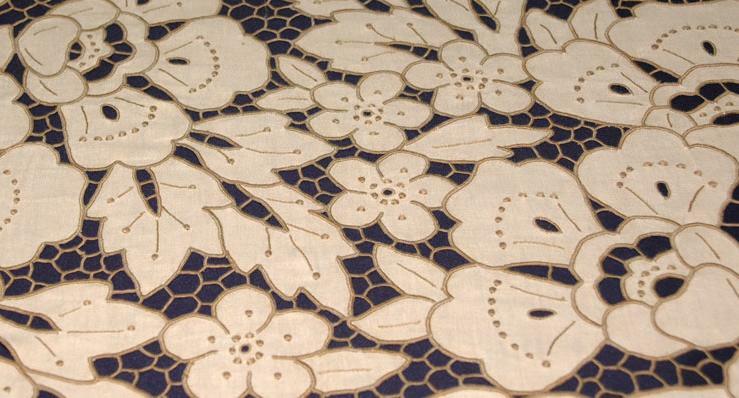 However, export of Madeira embroidery only started in the 1850ies under the impulse of Miss Phelps. She introduced the island’s delicate handicraft in Great Britain with success. During the 1851 Great Exhibition in the UK, Madeira needlework gained prominent aristocratic patrons and was labelled as luxury product. There were (and still are) several embroideries mainly around Funchal. Interestingly, most women worked from home and delivered their work to the manufacturers once finished. Design and drawing of the intricate new piece. Perforation or Picote. The new design is perforated by hand through the paper and onto the fabric. A skilled crafts-person passes sponge with special blue ink over the perforated paper. The blue ink marks the fabric notifying areas to be embroidered. The many embroiders come and pick up the stamped fabric and work on those intricate design for countless hours from their homes in the countryside. Their skills give a soul to each unique piece of art. 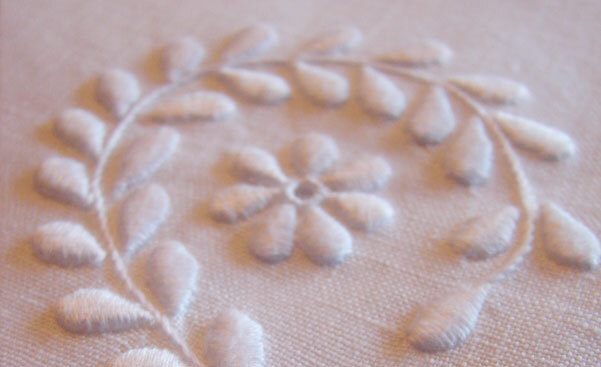 Upon completion, the embroidered fabric returns to factory for verification, cut, wash and ironing. Each unique piece receives a certification label as genuine Embroidery from Madeira.